Girlguiding Shropshire are pleased to announce the launch of the new Fun 'n' Flight challenge pack. 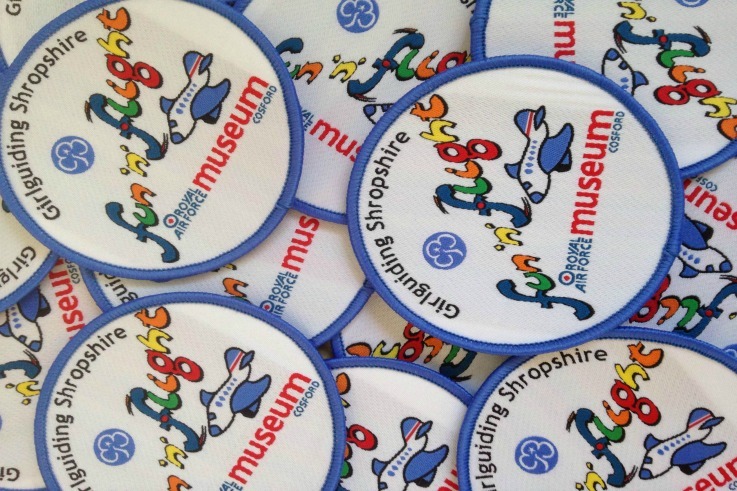 Girlguiding Shropshire are pleased to announce the launch of the new Fun ‘n’ Flight challenge pack, which has been produced in collaboration with the RAF Museum in Cosford. The badge explores the wonders of flight through science, art and craft, whilst having fun at the same time. The badge was launched at the recent Fun n Flight day at RAF Cosford, where more than 300 brownies and rainbows enjoyed a mixture of activities including; decorating and flying gliders; making mini bi planes using wooden pegs and lollypop sticks; and building rocket wands using card, crepe paper streamers and coloured sticks. Anyone can do this badge and they can be purchased via the county. A further Fun n Flight date has been arranged for 5th July, due to popular demand and the booking form and badge pack can both be found on the Leader’s Resources page of the website. We’d love to know how you get on if you decide to work for the badge.